This is the second part in my short series of a behind the scenes look at what it takes to get Courtenay McFadden’s bikes prepared for nationals this year (2017). If you’re interested in starting at the beginning check out part one. If not…just keep reading. It’s December 12th so we are about a month out from nationals and I’m starting to get things going as far as getting these bikes in shape. We left off last time with Courtenay’s two east coast bikes in a state for short term storage while they wait for me to complete them. This is basically just a condition where if they sit for a while nothing will go bad. Everything is dry with basic parts oiled and lubed so nothing will rust or bind up that isn’t already that way. As you might remember from the first part of the series, one of these bikes hit the ground a couple of times so there are some things that I want to look at right away and either fix or order new parts for if need be. These are primarily the rear shifter and rear derailleur on baby blue (That’s the name of Courtenay’s bike with the blue saddle). 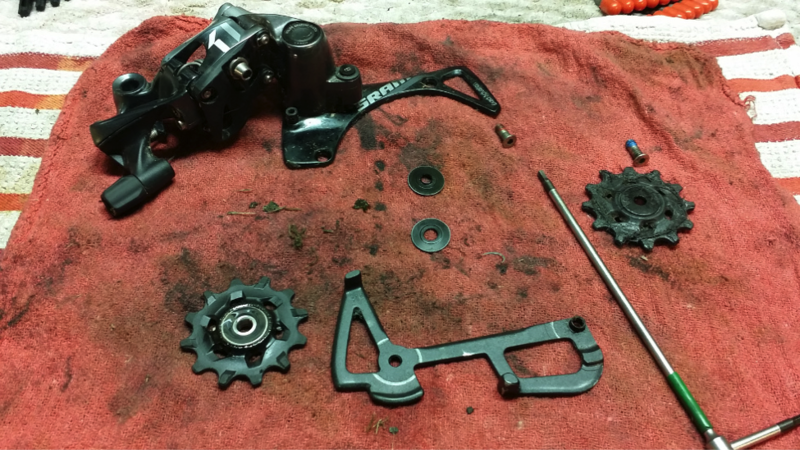 So first thing to do is get both rear derailleurs off for a cleaning and basic overhaul as well as the baby blue shifter to take a closer look at it. 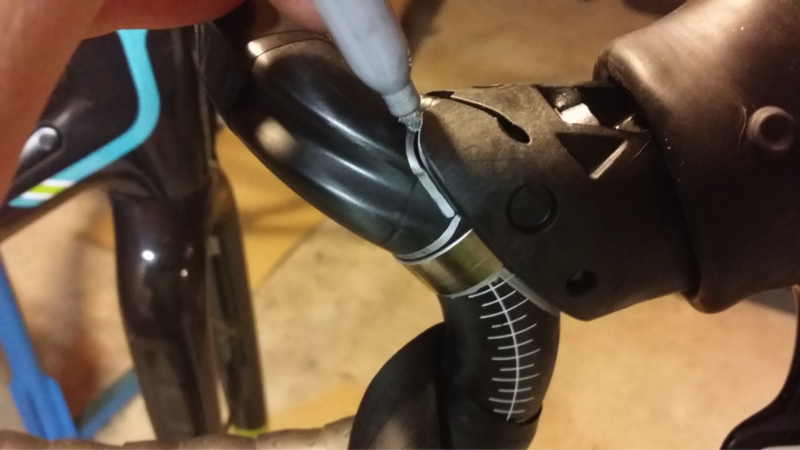 Like most riders Courtenay is very specific about her brake/shifter placement so a quick outline of the shifter on the bar will help me get it back in basically the exact spot that it came from. I have to admit I was skeptical of this thing working but it has been great! You can disconnect the shifter and put it back without bleeding the brakes. It does make the initial routing of the brake line on an internally routed frame a bit of a challenge though but not too bad. The good news is that the shifter is fine. The picture of the teeth on the shifting drum from part one shows this. That was the part I was most worried about and it looks fine and shifts through all the gears with no issue. For some post race work the rear derailleurs can just be left on the frame and given a good clean. This race made a mess of everything and since the next race these bikes will see is nationals they are both going to come off and get a basic overhaul and check up. 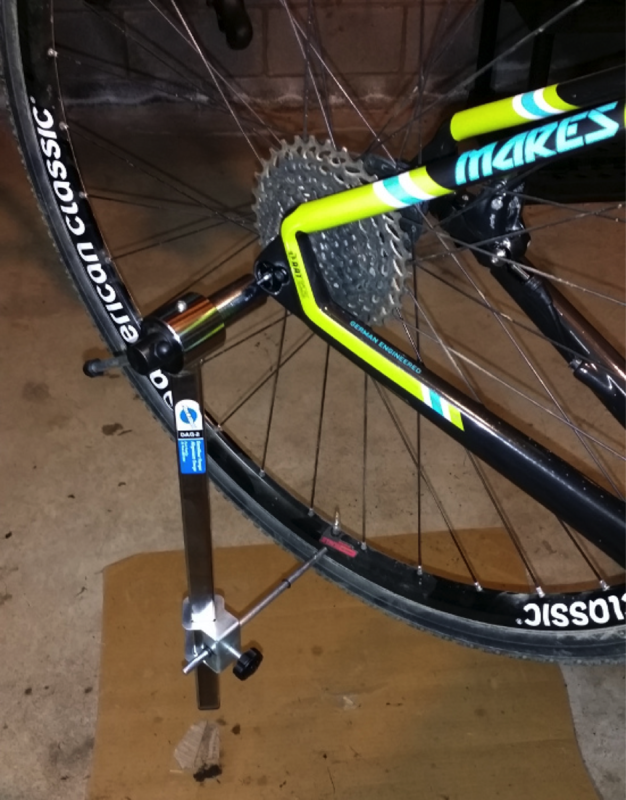 The first picture is of the the derailleur on baby blue. The cable is a bit roughed up from all the last minute work we did to it and will of course be replaced with a new one. One of the lower pulley wheels on little pinky (My name for Courtenay’s bike with the pink saddle) was a bit sticky. 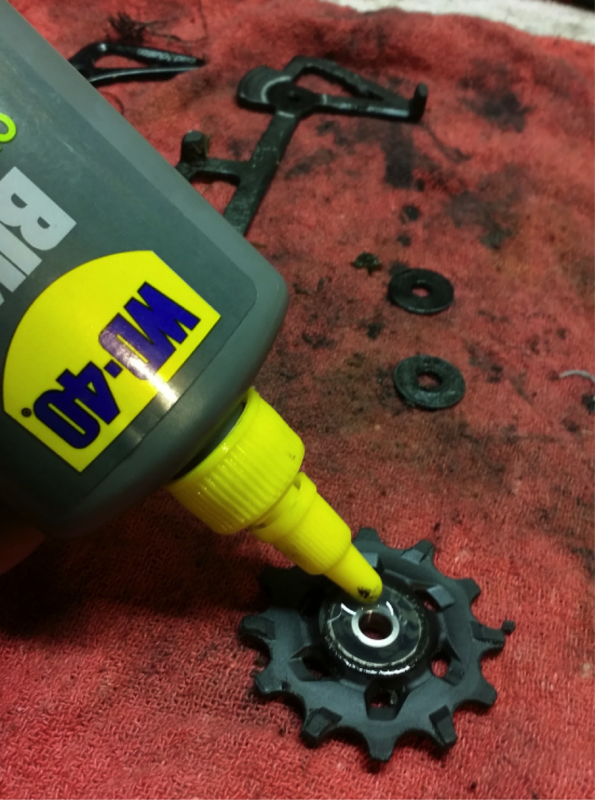 The basic oiling with some WD40 bike chain lube (as all 4 pulley wheels got) was enough to get things rolling well again though. And now we have two clean and working derailleurs again. The other thing I like to jump on right away is the bottom brackets. 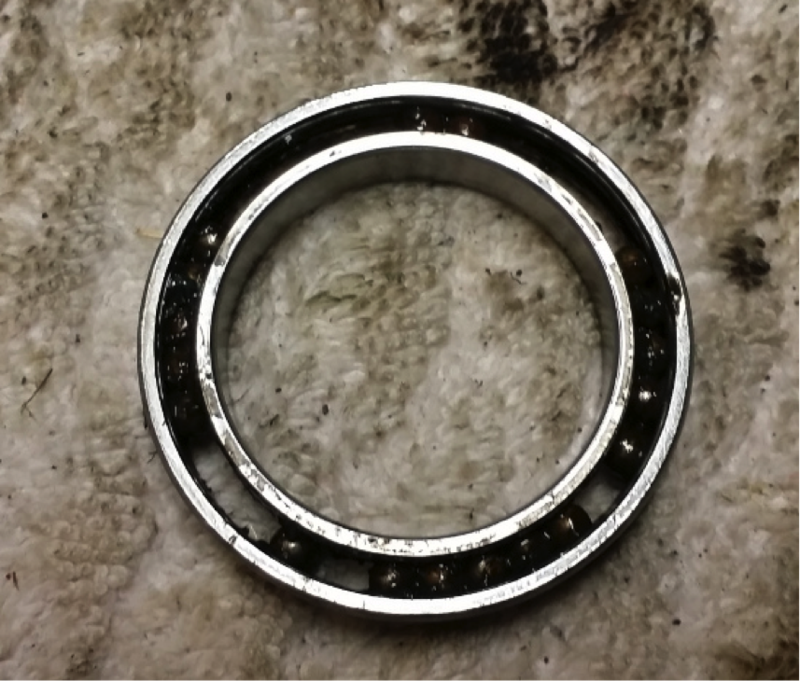 In my experience the BB bearings are the most susceptible to causing problems. They are right down is the crap and need to spin a lot. 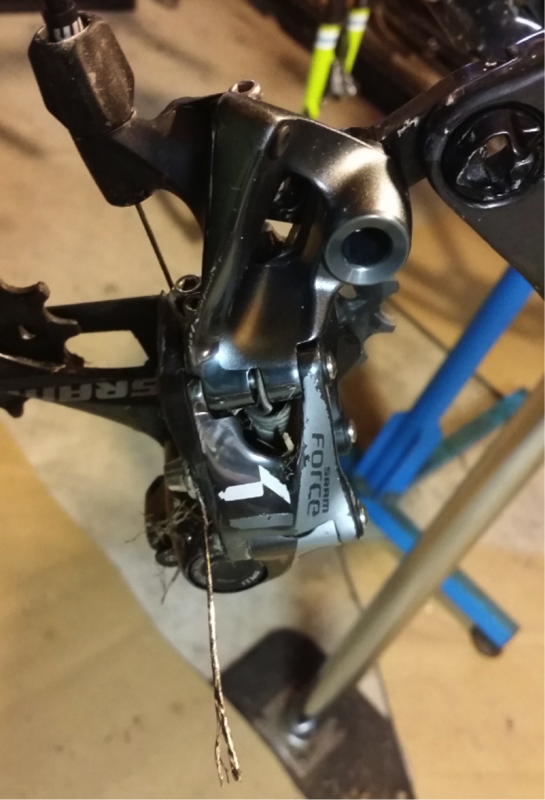 The fact that these Easton cranks are so awesome and easy to remove makes this a lot easier. I’ll be going over the cranks in a later part of the series. For now the bearings are what I’m concerned about. Upon checking them out I discovered that one bearing on each bike was problematic. One was grinding a bit and not running smooth and the other would hardly turn at all by hand. I always like to check these by hand with the cranks out. Just spinning the crank is not usually good enough. The leverage that you get from the crank arm masks potential problems. Just spinning them with your fingers give you a much better indication of how smooth the bearing is running. So two of these need to be removed. 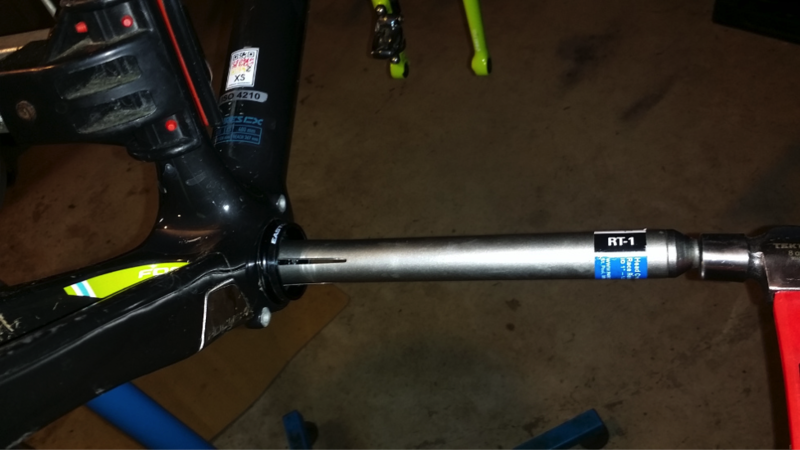 The Focus Mares CX uses a PF30 bottom bracket. The two bearings that need to be replaced are still original bearings from my original installation of the bottom brackets. The other two bearings have been replaced. Since this is the case I’m just going to put new bearings in and re-press an entire new BB cup. To remove the PF30 bearing I like to use the Park headset cup remover. It gives me contact all the way around the bearing and only takes a very light tap with even a small hammer to remove the bearing. In this picture I’m removing the left bearing on the opposite side. 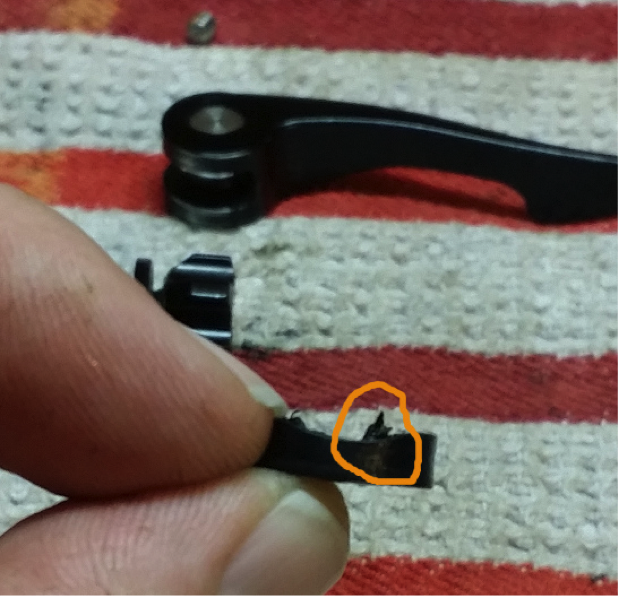 Also if you do this make sure the tool is contacting the edge of the bearing and not the PF30 cup itself as this will knock out the entire cup. Just for the heck of it I removed the seals from the bearing that was the worst one to get a look inside. Most of these balls were very difficult to move around the inside and I had to use a pick to loosen them. This will of course NOT be used again. Next I’ll get the brake pads out of the calipers. A few reasons for this; I can check the pads for wear, I can check the brake caliper pistons to make sure they are not stuck, and finally I can clean the frame easier without fear of contaminating the brake pads. It also is a necessary step in bleeding the brakes which I plan to do anyway but even if I wasn’t, I’d take the brake pads out for all the other reasons. As you can see here there is some dried mud on the brake caliper. 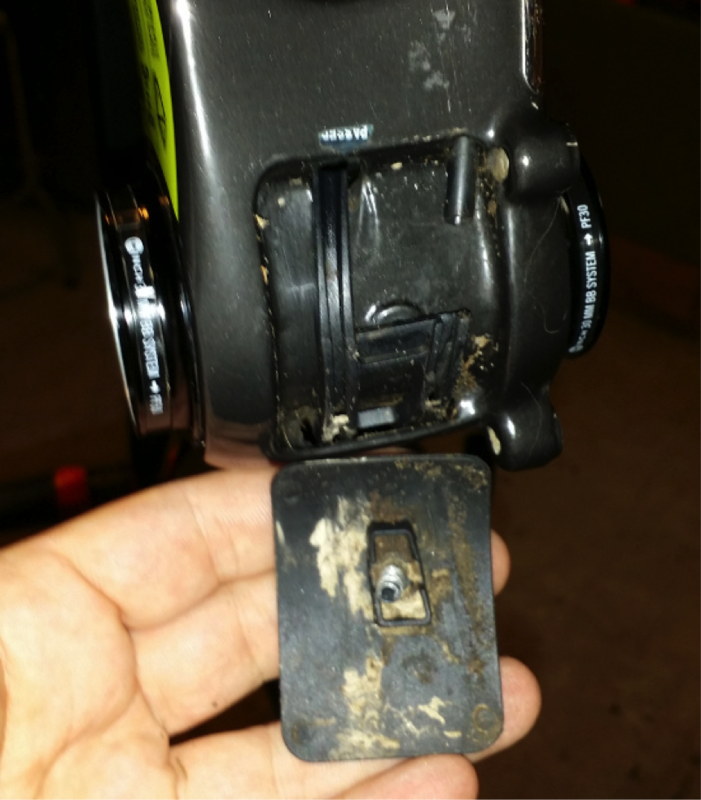 This shouldn’t be a problem but is one of the realities when you are cleaning up a bike after a race, in the cold, in the dark (even a lit team tent has crappy light) and are in a hurry because you have a 5 hour drive to get home. The fact of the matter is that you will miss a few spots. While I’m cleaning out the brake calipers and the brake pads I give the brake pads a check for wear. SRAM recommends replacement at 2.5 mm so as you can see there is plenty of wear left on these pads. All eight pads were about the same thickness. This is something I’ll also keep an eye on the week of nationals as Courtenay Pre-rides the course. If I start to see any of these pads get close to the 2.5 mm thickness I’ll replace them….remember, it’s nationals. 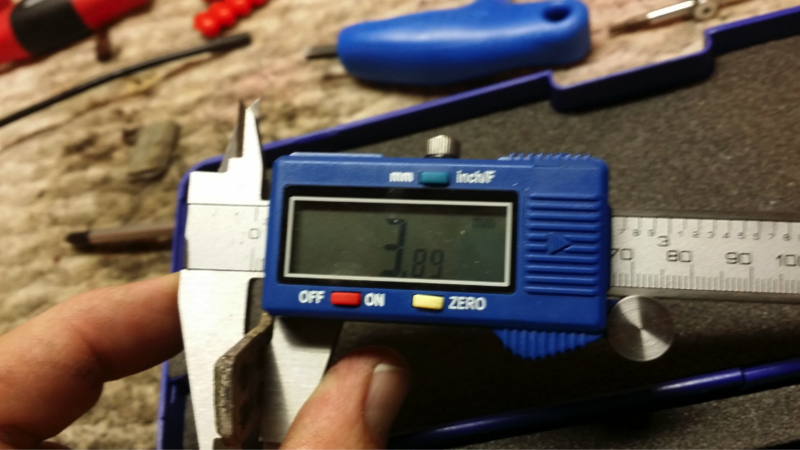 If they are only close to 2.5 mm but still have some wear left it doesn’t mean they need to be thrown away. 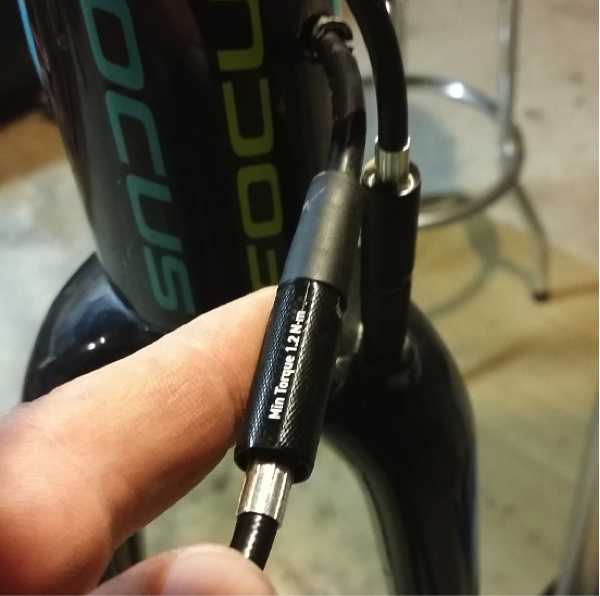 Just use them up during the off-season while out training or something, not during the national championship race. 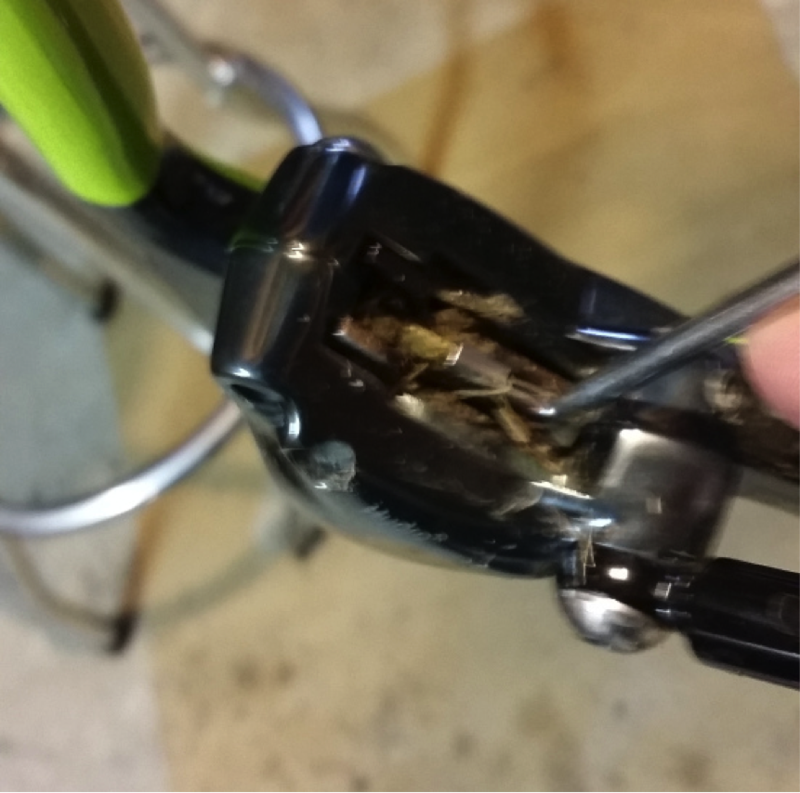 Also, with the derailleurs off I’ll give the hangers a check, especially the one on the bike that hit the ground! If these need anything more than a slight tweak to get them straight just replace them. It’s not worth it! Straighten the bent one and again just make it a backup for emergency or something and make sure to label it as a backup only somehow. Then while I’m working at the frames I’ll take the bottom cable cover plate off. I know many mechanics who run full housing for shifters on their bikes. I’ve never liked to do this. For one I just don’t feel that that much mud gets under this plate. The picture above is a good example. Remember this was a VERY muddy race and that’s all the mud that got through. 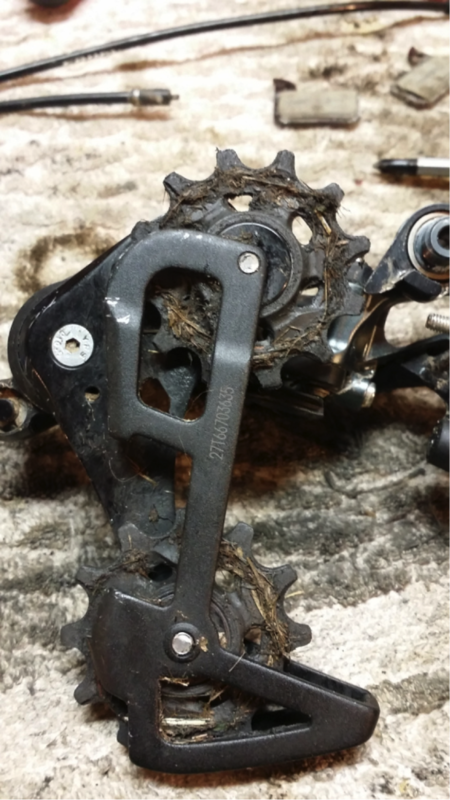 Also, in my experience, one of the main shift cable issues is mud and grime getting in the derailleur end of the housing and causing problems, or that piece of housing getting hit by another rider or caught on another bike etc. 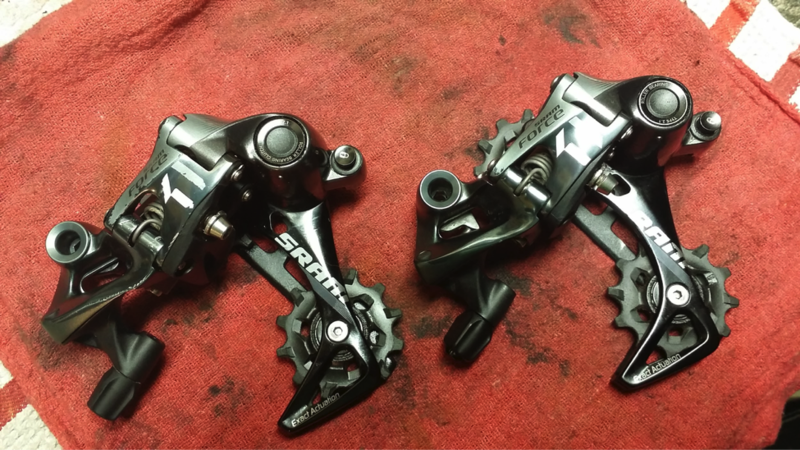 With full housing it’s much more difficult to replace this than to just run the small piece from the rear stay to the derailleur. 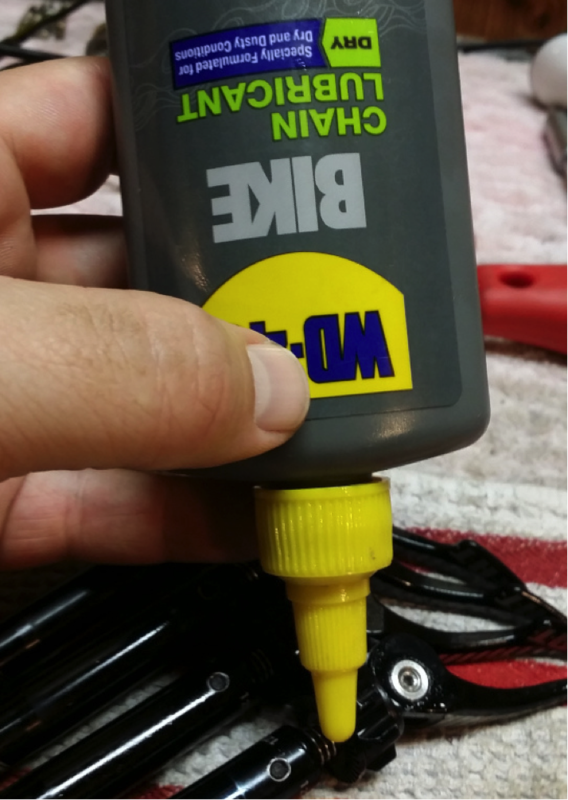 It’s something I check all the time and keep clean and lubed and have not had any issues with. The final thing I’ll work on today is the R.A.T. 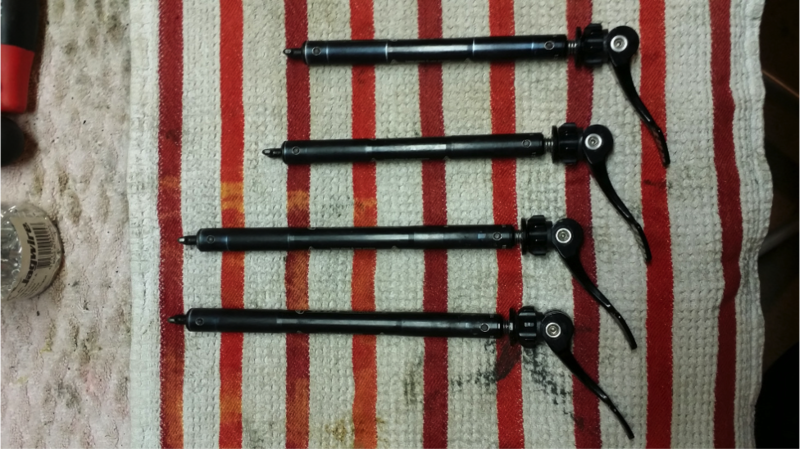 Thru Axle’s. They will require cleaning and lubing to make race day ease of use better. One potential problem with the R.A.T. style axles is the plastic bushing that rides against the lever on the axle. When it starts to get a “tail” like the one in the picture above you start to have difficulty with the tightening nut during installation and removal. I’ve had a couple of people at different races this season ask me about this issue that they are having with this bushing doing this. So I like to take them apart at this point, give them a shot of lube on the threads and trim that little tail off with an exacto knife to keep it working well. This was the only one of the four that had this issue. This seems like a good stopping point. I’ll now go and add the two bearings that I’m going to replace and the shifter cables to my parts order. I have both of them on hand now so will be able to install them right away but the new ones will now become the backups when they arrive. Thanks for reading and stay tuned for part three coming soon! I’m curious about tire recommendations for Nationals. My wife, Tove, will race Masters Women 65-69 on the 5th at 10AM. Weather predicts light snow. I race Masters Men 70-74 on the 4th at 12:48am with light snow again. We’re sharing bikes. The Focus Mares CX has carbon tubulars with Specialized Tracers (medium block) and the Colnago has Tufo Flexus Cubus 33’s. We also have a fresh set of Challenge Chicanes glued up on a new set of Roval Rapide CLX40’s which we can bring along. Do you have any suggestions? I think the specialized and the Tufo are going to be the more likely choice. Right now the extended forcast is showing 40 degrees those days. If that holds true I’m guessing it will be muddy and sloppy and no place for the file tread chicane. However! If it stays frozen those might be a really good choice. I’d still bring the chicane, when in doubt always bring more tires! See you out there and best of luck to you both! Thanks, Scott. I have limited capacity to carry wheels, so I will leave the Chicanes home.